When a tyre’s improperly inflated, chances of rapid and uneven wear are higher. Vehicle manufacturers nowadays specify the inflation pressure for both the front and rear wheels to optimise comfortable ride and overall vehicle’s performance. It also helps in managing fuel economy as well as take preventive measure to minimise tyre wear. Proper inflation pressure distributes the vehicle load, braking, acceleration and other mechanisms equally. In case the tyre pressure is extreme; that is too high or low, contact patch isn’t optimised for properly handling overall vehicle. This is the reason different tread parts may graze quickly and regularly. Check the pressure in all the tyres including the spare almost every month. Don’t forget to check before going on a long trip or when carrying extra load. You can easily find the bus tyre pressure specifications on the label affixed to the driver’s door or the user manual. Tyre alignment; commonly known as wheel alignment is the adjustment of steering and suspension functions of a vehicle; this is the system that controls entire motion of the wheel. It’s important to note that wheel alignment isn’t just restricted to the adjustment of tyres but angles, traction and different parameters like the toe, camber and caster are also considered. Improper alignment causes premature and unequal wear. In this situation, single side of the tread block deteriorates faster than the other from the border. Run your hand slowly over the tread block and they’ll feel like jagged teeth; a common indication of heel/toe wear. It typically occurs in shoulder rib caused by excess negative or positive toe. When tread ribs are worn from one end and sharper on the other side, this is referred to as “feathered” tyres. Yet again, this is caused due to a combination of improper alignment settings like extreme caster and toe. Either interior or exterior shoulder rib of the tread is more worn than other in this particular situation. Also termed as “camber wear”, excessive negative or positive camber causes this type of deterioration. Less or worn tread of bus tyre or any other vehicle raises certain risks. It diminishes road traction and a driver may lose control of the vehicle. This is more important when skimming on wet or snowy terrain as enhanced traction deflects water from under the wheels keeping them in contact with the road without slipping. 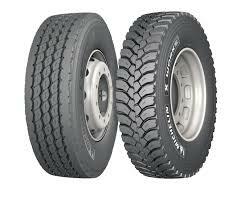 Tread depth rate varies from a state to another but the standard count in 2/32-inch minimum. In case it falls below the standard, tyre must be replaced without unnecessary delay. So now that we know about a few common reasons as to why tyre tread wears, taking preventive measure for safety of both the vehicle and yourself is a must.